Anjali Love is a mystic poetess, author, sacred feminine, tantrika, yoga & meditation teacher, energy worker, intuitive life and spiritual guide. A multidimensional being, a light worker and an artist of life, she is guided by the Divine to create from her heart. She offers online courses and coaching, also facilitates transformational workshops and retreats around the world. Although she enjoys many titles in life, she does not confine herself to any particular external identities. synchronicity happens for a reason. It is true. If you are reading these words right now. You are probably at an important time of your life. Perhaps you are looking for changes or important shifts are already happening in your life. You want to be the best version of yourself and create a life you truly love, a life that is aligned with your heart and soul. You deserve to be happy, to be loved and to manifest whatever you want in this lifetime. And there is no way out but to go within yourself to unveil, to create and receive your happiness, love and all the hidden treasures that are already within you. Keep following The Way that your Soul and Heart are guiding you. Always remember that you are not alone on this soul journey. You have a soul family who are here to help you and support you on your journey. I’m here to serve Love, to serve Truth, and to serve You. I’m here to accelerate your awakening process and to help you tap into your own highest potential and to realise your inherent multidimensional nature through various mediums, so that you may fully embody the divinity of your Higher Self within this lifetime. As a sacred feminine teacher, I’m here to help you awaken the inner Goddess, to ignite your Divine Feminine energy, so that you may realise your infinite sacred feminine potential. As a tantra teacher, I take you on a tantric ecstatic journey of self-discovery, to help you expand and evolve through love, so that you may remember your true nature - pure love. As an intuitive life and spiritual guide, I’m here to guide you to unveil your soul purpose, to remember why you came here, to integrate your soul purpose into your life, to live a meaningful soul-centered life, so you can do what you love while manifesting abundance. As a mystic poetess and artist, I use words and art as the medium to channel messages from the Higher Self. Anjali had an unexpected and spontaneous awakening experience under the foothills of the Himalaya at the age of twenty-five in the holy city of Rishikesh, Mother India. 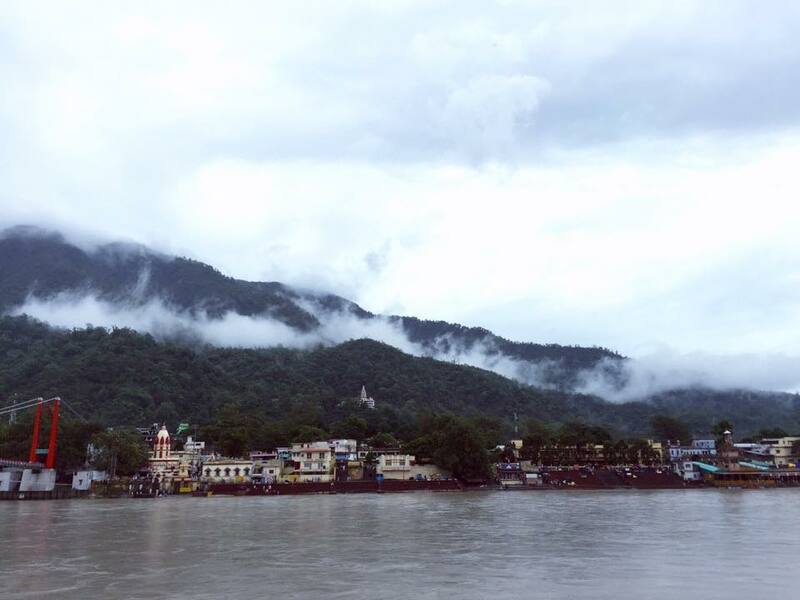 Tears of joy flowing uncontrollably out of her eyes, down her cheeks while she was sitting silently in meditation after spending two days in the holy city of Rishikesh, in the Himalayan foothills beside the Ganges River. Since then, she had been diving deep in the spiritual realm. Her spiritual journey has taken her all around the world, studying different healing modalities with renowned spiritual teachers and masters. She studied yoga, meditation, Ayurveda, ancient Vedic wisdom and Reiki healing in the holy city of Rishikesh, India. She learned Osho meditations and took Sannysa at the Osho ashram in Pune, India with the spiritual name of Prem Anjali (Prem means Divine Love and Anjali means Divine offering). 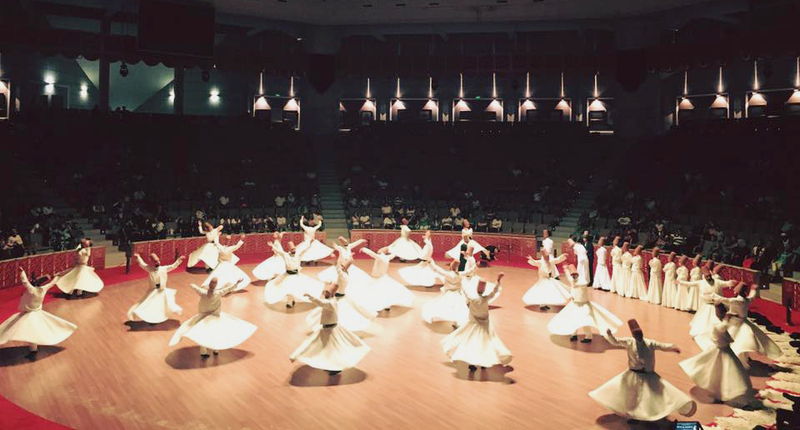 She immersed herself in the sacred art of Sufi Whirling and completed a Sufi pilgrimage to Persia and Turkey, and studied with the Sufi mystics there. She is a deep lover of Rumi and his Divine Love poetry. She has trained with various well-known tantra teachers around the world. In particular, her intense training with one self-realised tantric master in the jungle of Thailand made her experienced a tremendous energy shift, deepening even further. She also dived deep into Goddess teaching and the teaching of Divinine Feminine from various lineages. It is also her Soul Purpose to spread authentic tantric and Goddess teaching with the world. Before Anjali’s awakening, she was an Australian lawyer and entrepreneur. She worked and interned briefly in the world's top international law firms in Melbourne and Hong Kong. She also ran an internet start-up in Shanghai for one year. At that time her focus in life was mainly on materialism, conventional success and values set by the society, and accumulating from the external world. Her peace and happiness were fleeting, momentary as it was dependent on outer circumstances. "The only way out is in, so look deep within." After her awakening experience, she finally realises whatever she has been seeking in life is already within her. When her mind is silent and still, she experiences this abundant pure love, peace & bliss (the union with the Divine). The source of everything is all from within, and she felt she has been opened up in a whole new way and experienced a lot of love for many beings. She realised the root cause of suffering in life is due to low consciousness. Most people are not aware of what they are actually doing as they are mostly being controlled by their reckless minds (the “monkey mind”, which always swinging between the past and future, but never really in the present) and deeply conditioned by the society. She finally realises that it is her soul's purpose to share her experience and spread the words to as many people as possible, through writing, tantra, sacred feminine work and various types of meditation such as mystical dance, Sufi whirling, Osho meditation, silent meditation and other spiritual practices. She wants more people to experience the joy of life and understand that the source of love, peace and bliss is all from within. "Just living is not always living. Look at your life, can you call it a blessing? Can you call it a gift? A present of existence? Would you like this life to be given to you again and again? She understands that whatever happens in her life is here to help her evolve into higher consciousness and embodying her Higher Self, the sovereign Divinity. She is also guided by Ascended Masters and Goddesses to complete her life mission here on earth in this lifetime. You are what you've been seeking for.